Every summer has a story, and here’s ours. 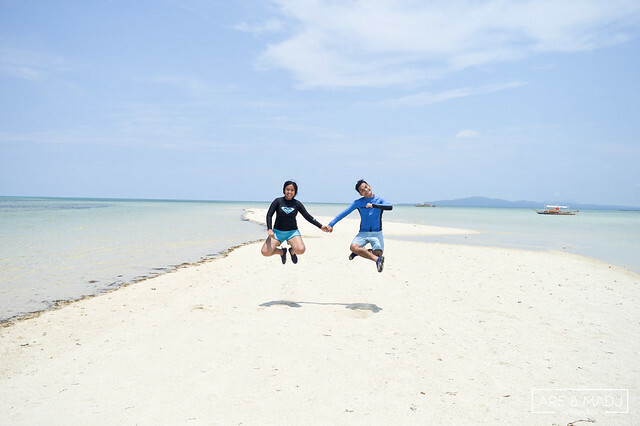 A jump of joy in Cagbalete Island! 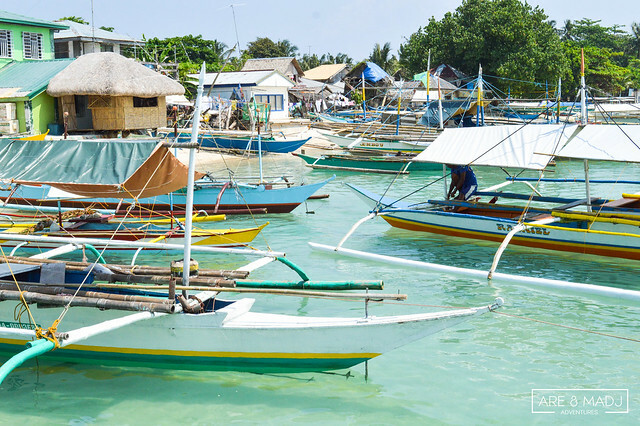 Summer is always the best time to enjoy a long, well-deserved vacation, go for an island hopping, appreciate the beauty of nature and is the best time to go somewhere we haven’t been before. Trying out and discovering something new always makes our hearts flutter and always gives us the adrenaline that we crave for! 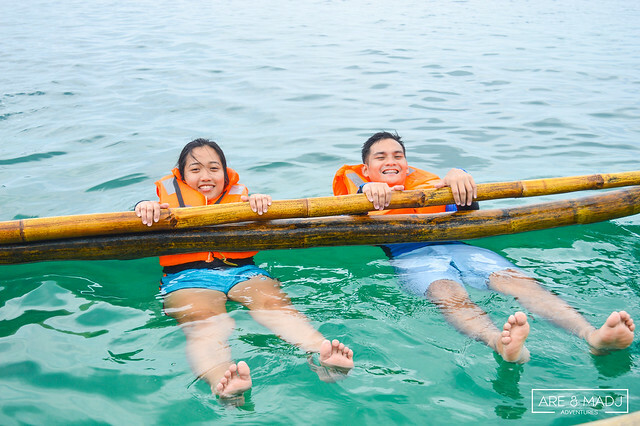 To beat the summer heat, Madj and I, together with our college friends, went to have a quick getaway in Cagbalete Island, located in Mauban, Quezon. 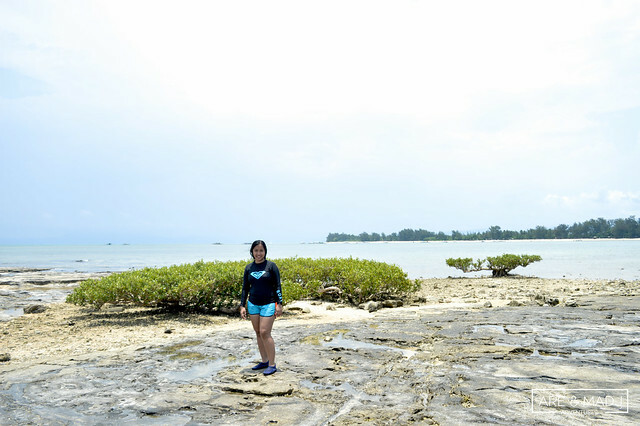 Cagbalete Island is one of the jewels of Quezon Province. 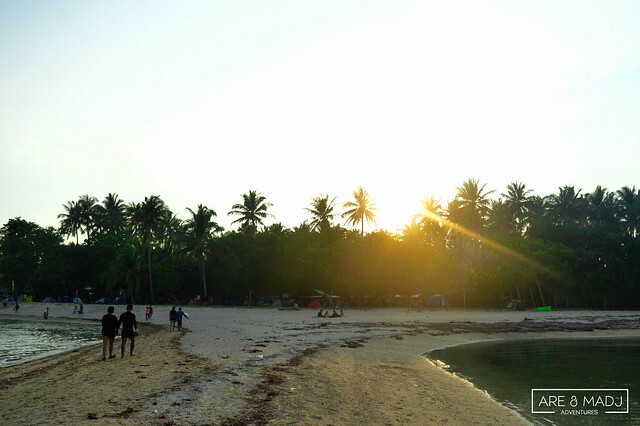 It is a 1,640-hectare property located in Lamon Bay, fronting the Pacific Ocean. 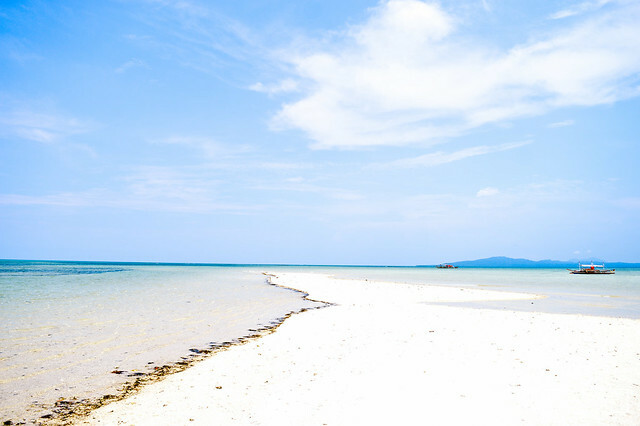 It is a paradise surrounded with white sand that is well-exposed during low tide. Needless to say, it is a complete haven for adventure and nature lovers. We’ve heard numerous good feedbacks from our friends and officemates who have been here before (not to mention the blogs we’ve read); thus, deciding to get here this summer was the easiest decision to make. What’s more exciting was Madj’s birthday falls under the summer season as well. This was a sweet excuse to have a summer getaway-slash-birthday celebration. 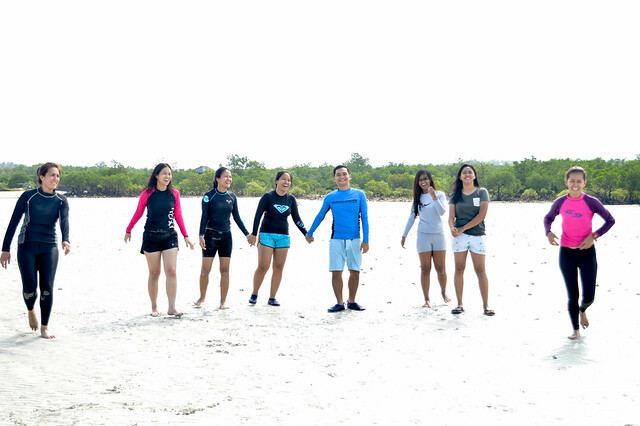 This Cagbalete Island escapade is also considered as Madj’s birthday adventure. So, how did her birthday adventure go? Please read our complete adventure below. We arrived at the South Station Terminal in Alabang at five o’clock in the morning. Unfortunately, we lost the chance of riding the first trip going to Lucena. So, to kill time and to save ourselves from famish, we took our breakfast first while waiting for the next trip. From Alabang to Lucena Grand Central Terminal, the estimated travel time is 3-4 hours. It’s 109 km. away from Alabang. Best thing to do while on a long trip? S L E E P.
In our case, we came all the way from the South, so we took the Alabang route going to Lucena. Tip: JAC Liner – Cubao and Buendia Terminals have direct trips to Mauban. Just check out the scheds. 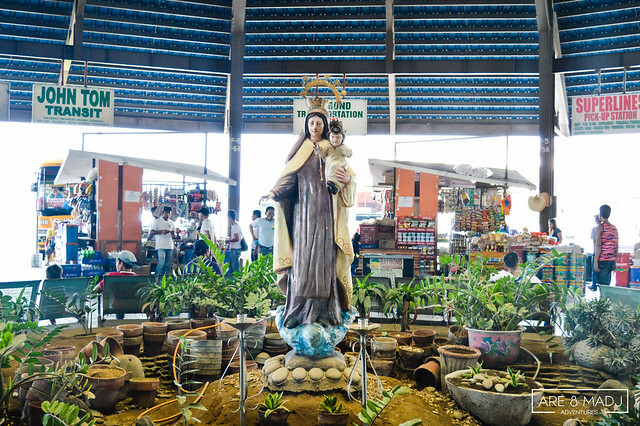 Upon arrival at the Grand Central Terminal in Lucena, we headed directly to the bus terminal going to Mauban Port. 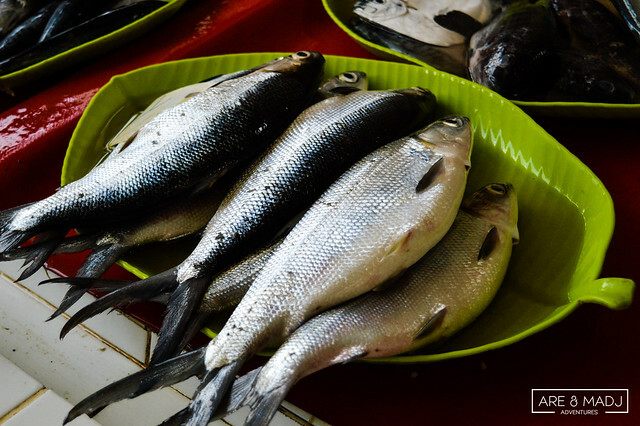 Mauban Port is an hour and a half away from Lucena Bus Terminal. Ordinary bus ride is the cheapest way you may take going to Mauban. When we reached Mauban Port, we rented a tricycle going to the Mauban Public Market and to the Tourist Registration Center. 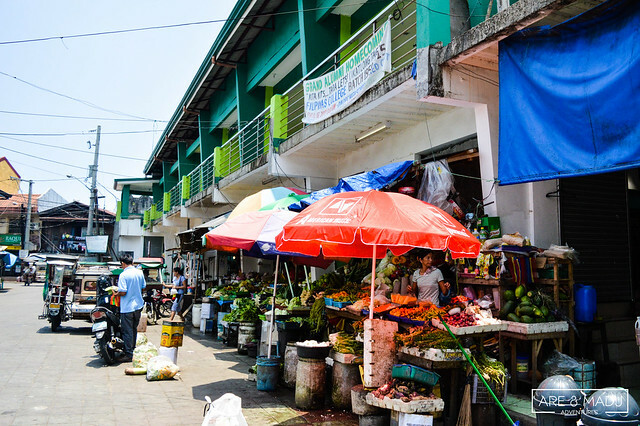 You may choose to either walk or to ride a tricycle going to the market because this is only a few blocks away from the Port. Since we had lots of bags, we chose to ride a tricycle. 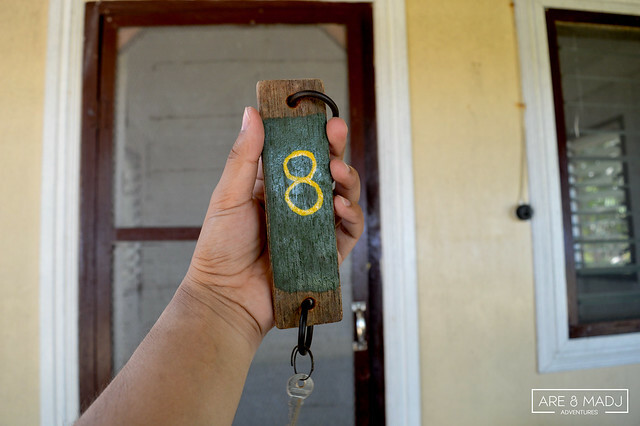 This cost us Php10.00 each person (roundtrip), and since we were six (6), we paid Php60.00. As required by the Department of Tourism in Cagbalete, we needed to register and pay an environmental fee of Php50.00. Glad that when we arrived at the Mauban Port, the ferry, which has a capacity of 70-80 persons, would depart in a few minutes. It seemed that we were the last group who arrived before the ferry departed. Thank God we needed to hire a private boat (which costs more than 3 times this ferry ride) no more! Yes! We made it! 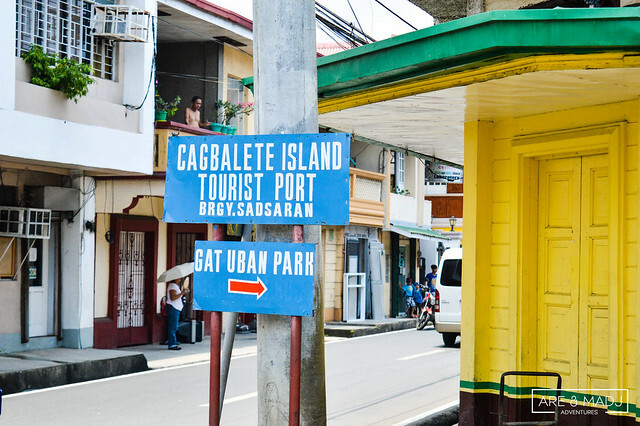 The travel time was just an hour, reaching Cagbalete Island. Fortunately, it was shorter than we expected. 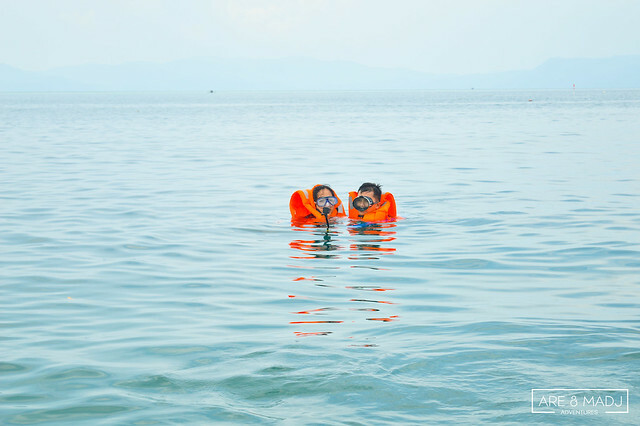 Even before the ferry finally docked, the sight of the sea already made us so eager to dive in and swim. The water was so clear and green, the sand oh so fine, and the long stretch of island with multiple sandbars was so enticing. 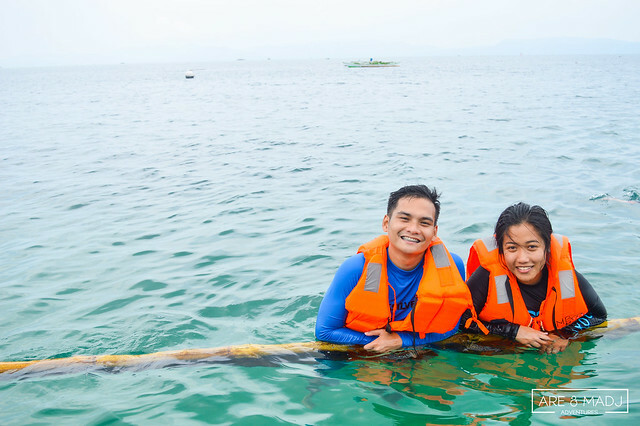 From Cagbalate Tourism Port, you got two options, either ride a habal-habal (back-ride motorcycle) which costs Php50.00/person or ride a roundtrip boat which costs Php600.00 for 6-8 persons. 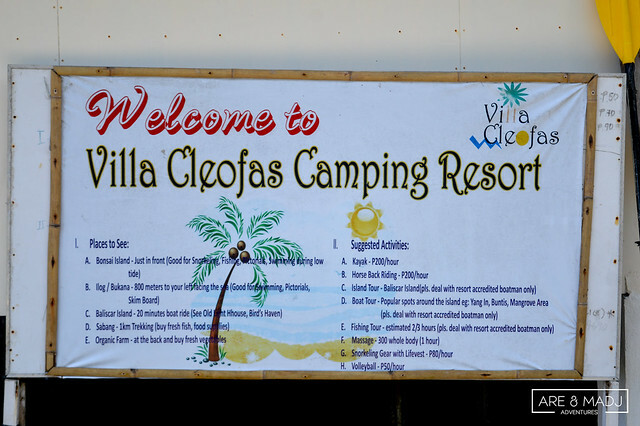 Before this trip, my friend Jack already reserved a room and a tent at Villa Cleofas Resort. We boarded the boat going to Villa Cleofas Resort. From the above mentioned options, we opted to ride a roundtrip boat. We got a heavy baggage because of our groceries, packed lunch, and heavy backpacks, so we needed transportation that would carry all our baggage without any hassle. A few minutes from the Port, we arrived at Villa Cleofas Resort safely. Thanks to Kuya Adonis, Sedfrey (Kuya Adonis’s son) and Bumbay (Kuya Adonis’ son’s friend) for the quick and safe ride. Woaah! We’re here! Chow time! Got hungry from our looong trip. Very glad that we were able to eat immediately. 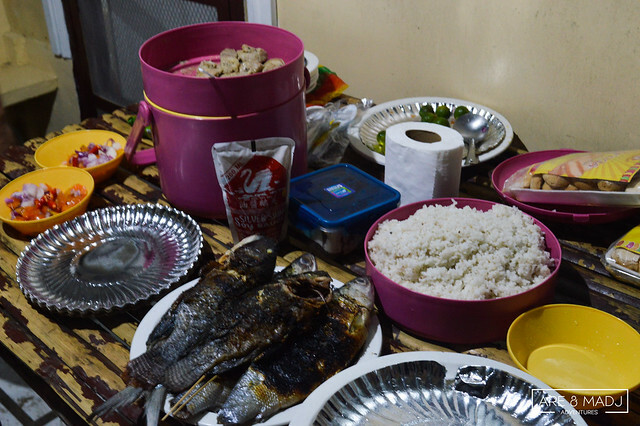 Thanks to Emdi who brought our lunch – adobong puti and of course, Asians, plain rice. Grazi to her father as well for helping prepare the food! Got our room key! #8, our favorite number! paper plates, disposable spoon and forks, and cups. 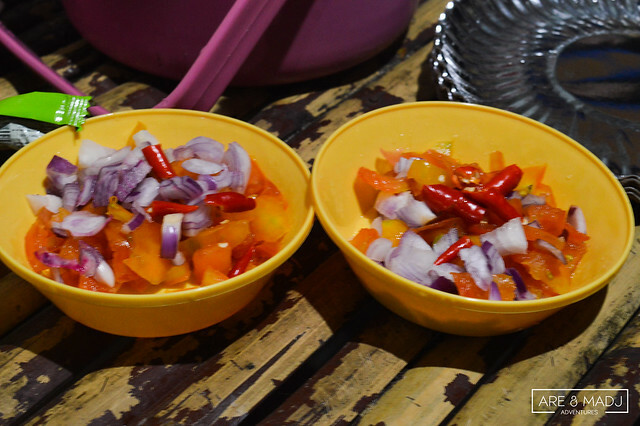 Tip: Bring your own food or buy at the Mauban Public Market. There will be no available convenience store in the area and the price is too expensive. 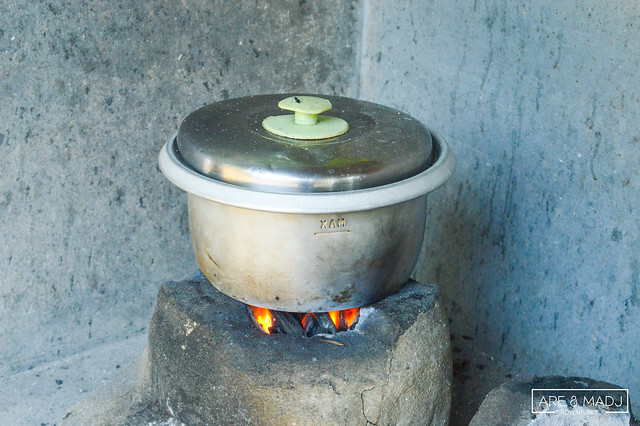 We had everything we needed except for kitchen utensils, so we requested for paluto as per the blogs we’ve read. Php200.00 for paluto + additional Php50 for kawali rentals. However, it was a total disappointment when we learned that Villa Cleofas Resort couldn’t accommodate all the paluto requests we had. They seemed to prioritize their own catering services, which was understandable. So, we looked for other ways. 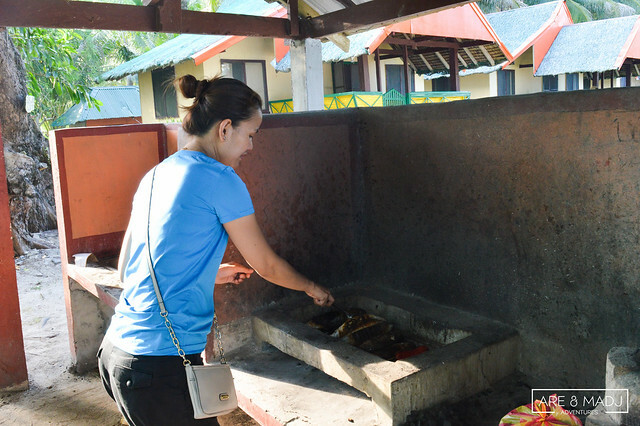 Luckily, Ms. Grace and Ms. Dennise found a public lutuan around the resort. We asked help from the locals. 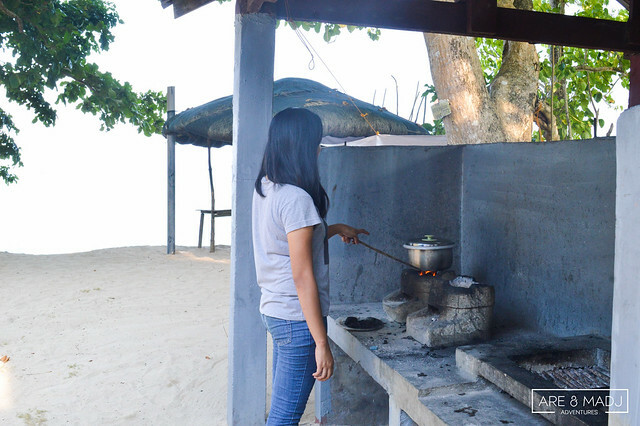 (Always pays a lot to ask) Ate Leini, the halo-halo vendor lent us their kawali and other kitchen utensils, and things got a little bit easier. Good thing there’s a halo-halo kiosk near the public lutuan. 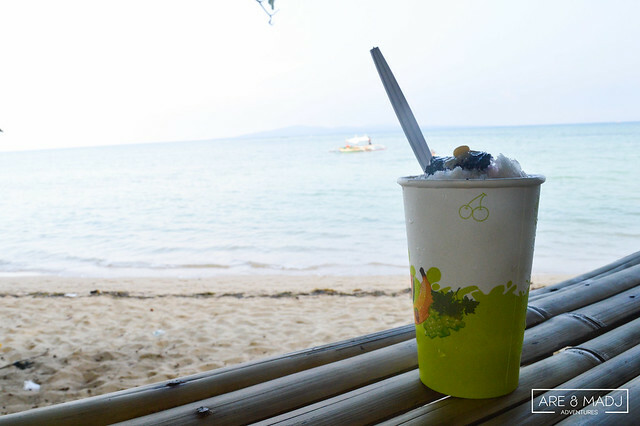 Sarap ng Halo-halo ni Ate Leini, for only Php40.00, you’ll get a chance to beat the heat of summer. 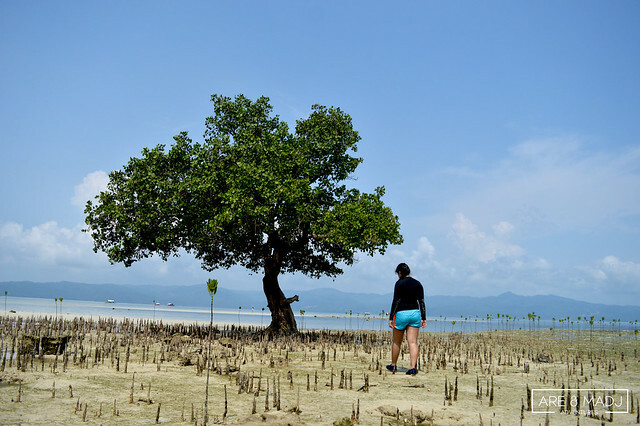 We’re drooling already but I guess there’s time for everything, so we spent the next few hours appreciating the island especially Pulong Ibon Sandbar. Madj saw this sea creature while we were dipping at the sandbar. 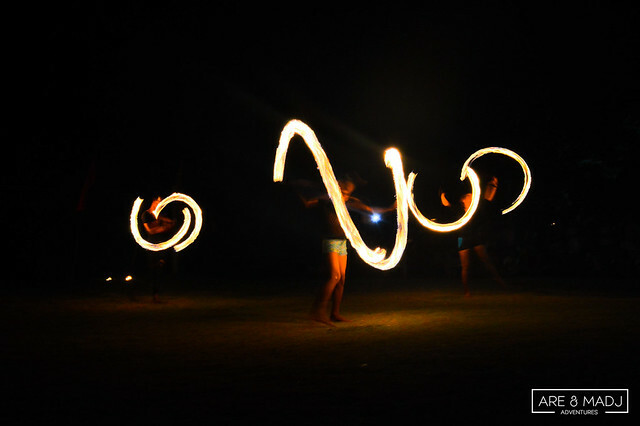 After dinner, we had a chance to see the fire dance show at the resort. It started at exactly 8 o’clock in the evening and lasted for around 15 minutes. We thought that we could have a good snapshot of the sunrise but unfortunately, the rain poured down heavily with a bit of lightning. We felt saddened for a moment but when we asked our bangkero, Kuya Adonis, he said that it would only last an hour and the sun would soon rise. And he’s right! No time to waste! 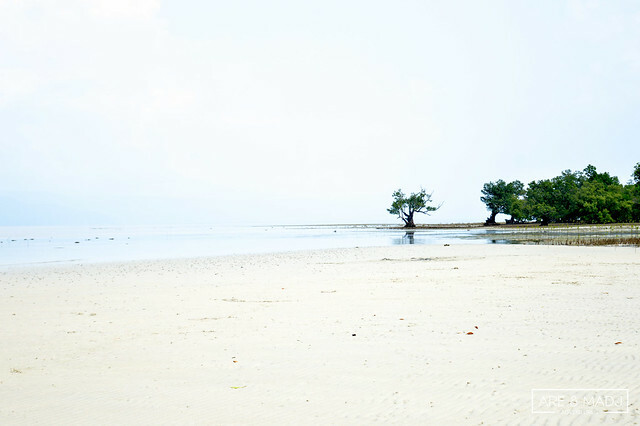 We only had a few hours left and we still haven’t strolled the long stretch of Cagbalete Island. 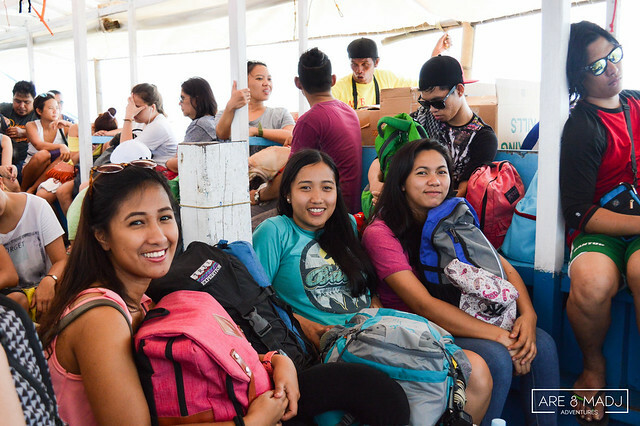 Time to prepare and pack our things for our most awaited activity – THE ISLAND HOPPING! 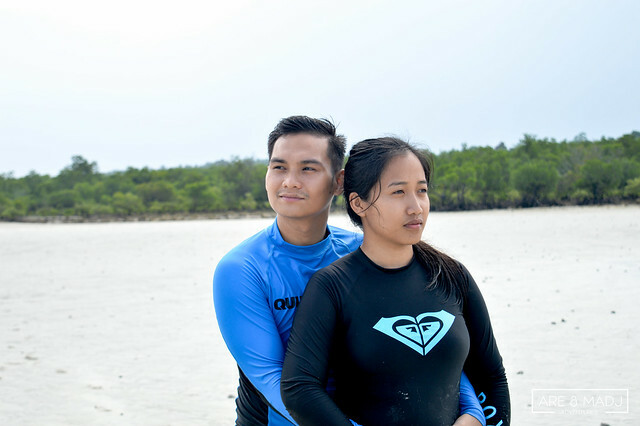 After a cup of joe and pandesal, we packed our things up and wore our swimming attire. 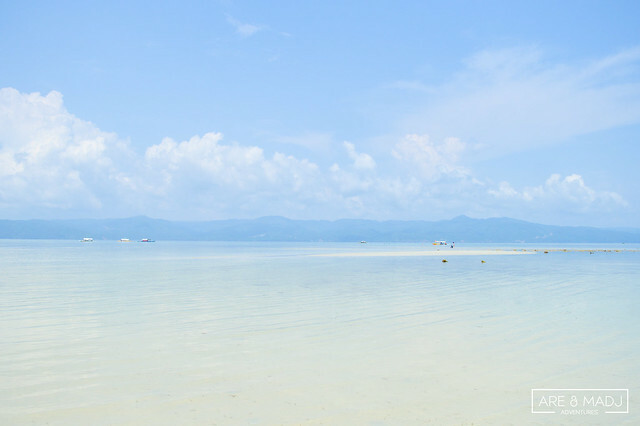 Explore the beauty of the largest sandbar in this island, Yang-in Sandbar. 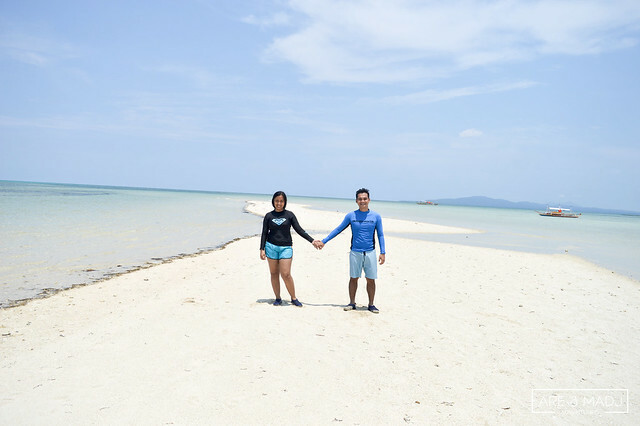 Aside from the fact that this is the largest sandbar in the island, this place was, by far, the most romantic place we’ve visited in Cagbalete Island. Wanna know why? Check out the photos below. Thank you Jack for these lovely photos. 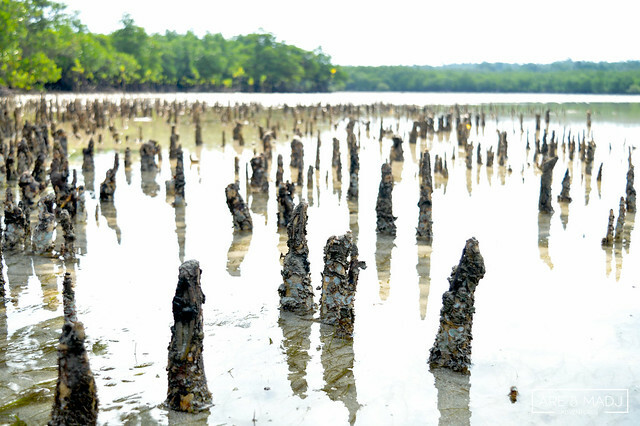 The closest thing about mangrove that I had before this trip was that of the topic I encountered in my high school Biology class. 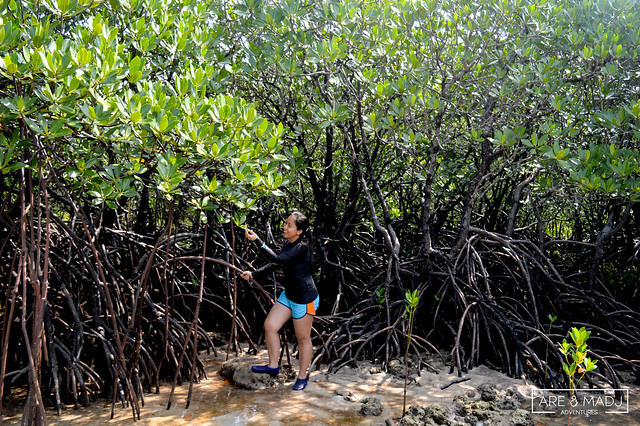 This time, I got a closer look and even had the chance to touch the mangrove trees! How awesome was that?! 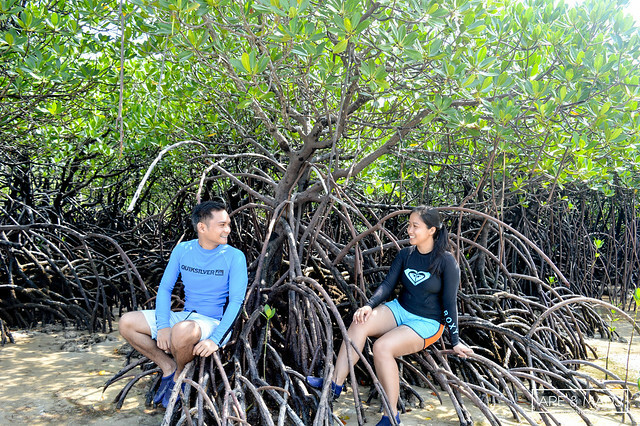 This is the spot where the famous lone mangrove tree is located. Sadly, we haven’t got the chance to snap a photo with it. 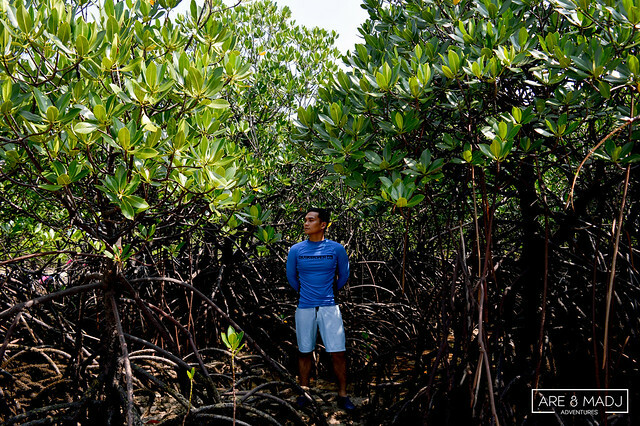 Do you think this photo of Madj with this mangrove(?) could suffice? HAHA! Time to get wet. 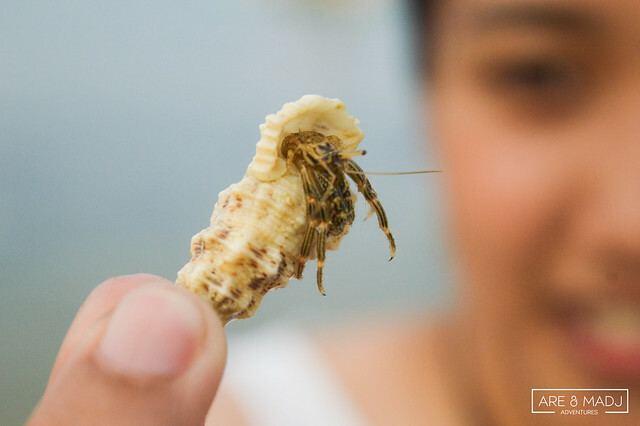 This was our chance to see Cagbalete Island’s famous marine biodiversity. 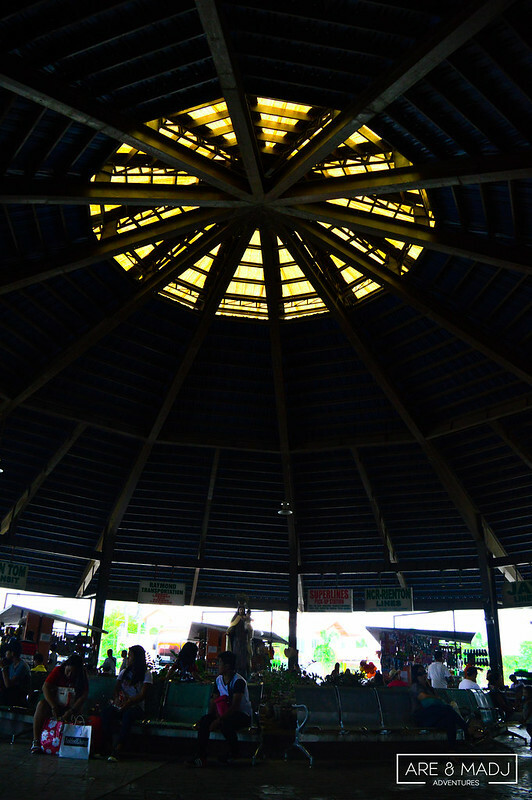 We experienced it at the Centro Snorkeling Site near Sabang Port. To tell you honestly, we expected fish (the normal ones. 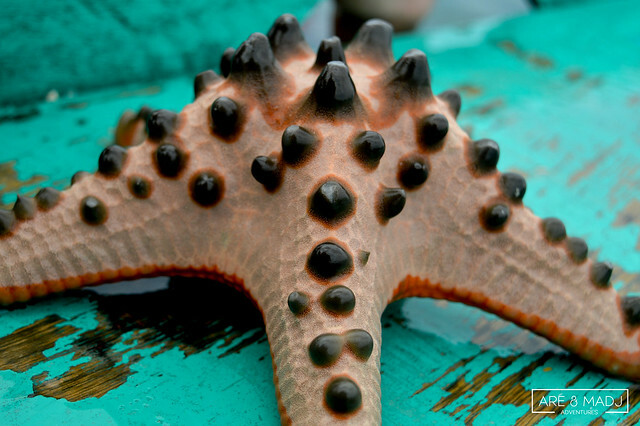 Hehe) but not a LOT of starfish in Cagbalete Island! Starfish! We’re meant to FLY! Ahm, swim, perhaps? HAHA! After snorkeling and fish feeding, we headed directly to Pansacola Starfish Beach, right in front of Pansacola Beach Resort.. This place was the best place to snorkel because of the naturally clear blue water. 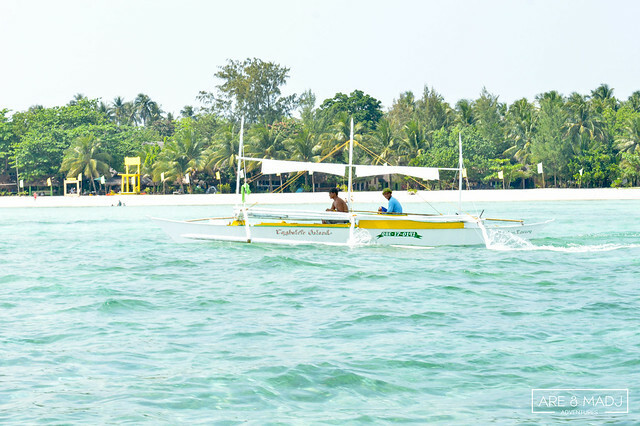 If we get another chance to visit Cagbalete Island, we would definitely stay at Pansacola Beach Resort. 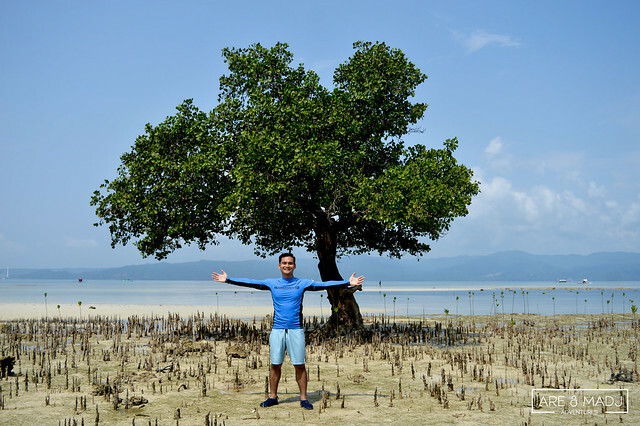 As the name implies, this Bonsai Island is the smallest and shortest island in Cagbalete Island. 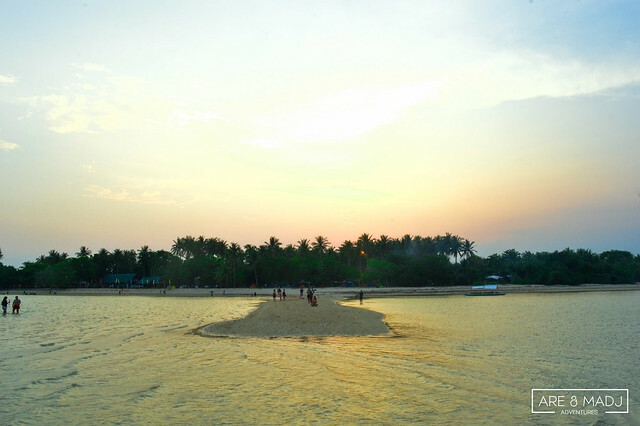 Aside from the Pulong Ibon Sandbar, this cute little island was our view from the resort we stayed in. This island was the last stop of our island hopping. This sandbar is at its best when it’s low tide and uncrowded. Got a good snapshot of Pulong Ibon sandbar. We also uploaded this video on our YouTube account. Please watch and subscribe! Thank you! Woooah! 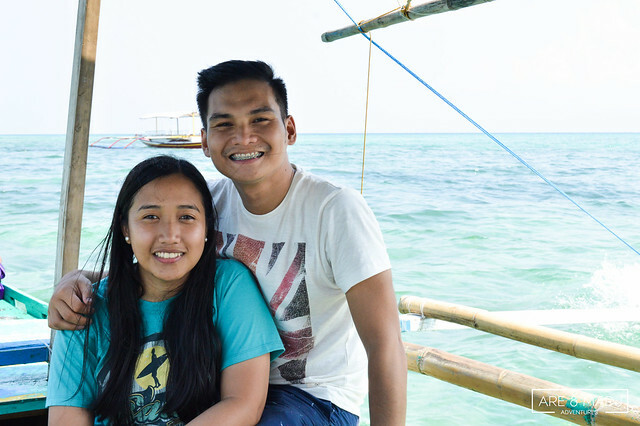 We really can’t put into words how much we enjoyed our Cagbalete Island Adventure. The long journey was all worth it. 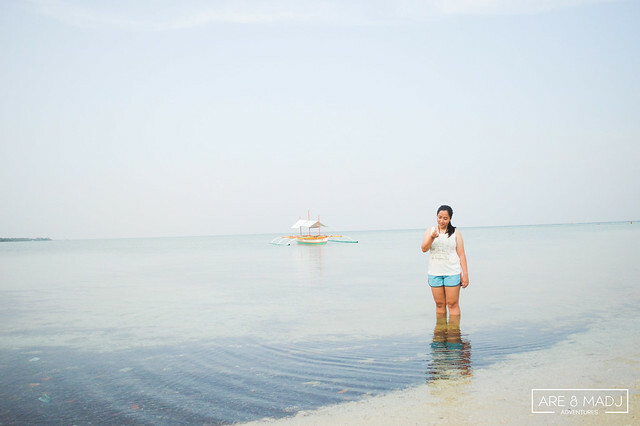 Cagbalete Island had so much to offer and this island brought us lots of good memories together. We’d like to thank each and every person who also made this birthday adventure a memorable one. To our good friends, Jack and Emdi, this adventure won’t be as enjoyable without the both of you. We did catch up, and that’s all we ever needed, right? We really couldn’t remember the last time we had this kind of kulitan and kuwentuhan. Tagal na rin! Years had passed, but nothing changed, aside from our clothing size, I guess? Siguro after 10 years, kapag nagkakuwentuhan tayo ulit tunkol sa una nating island hopping, eto yung una nating maaalala. Thank you for the support and the love you show us of our travels and adventures. We know this will not be the last! Till our next adventure Jack & Emdi. To our not-so-busy friend Claire, though you didn’t make it until the date of our adventure, we still wish to thank you for being part of the planning process. Thank you for the participation. Sa susunod, kasama ka na ah! 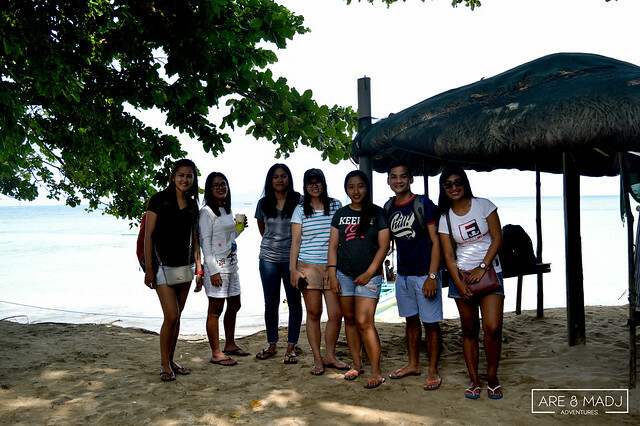 To Ms. Grace, Ms. Dennise, Cucai and Kristelle, who have been part of the Cagbalete Squad, thank you for the great company! You guys are memorable! 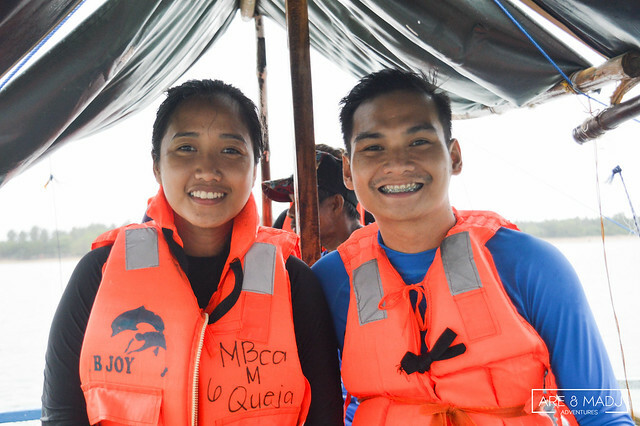 To our kind and accommodating boatman Kuya Adonis, thank you! We will definitely recommend you to our family and friends. 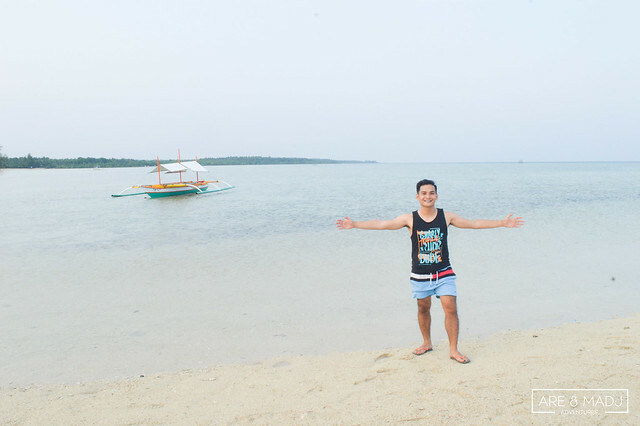 Thank you Cagbalete Island for this unforgettable island adventure. Don’t look at our tan-skinned faces. hehe! They say all good things come to an end! But if the memories are this good, I am pretty sure they will last longer than a lifetime! Book a reservation to your desired resort as early as possible. Most of the rooms and resorts are already fully booked. 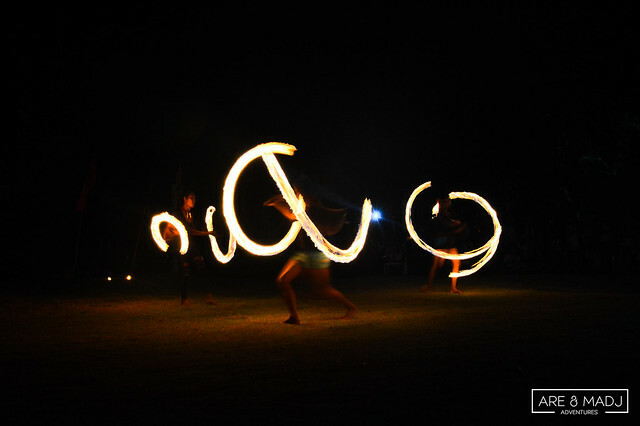 Aside from Villa Cleofas Resort, there’s Doña Choleng and Pansacola Beach Resort. 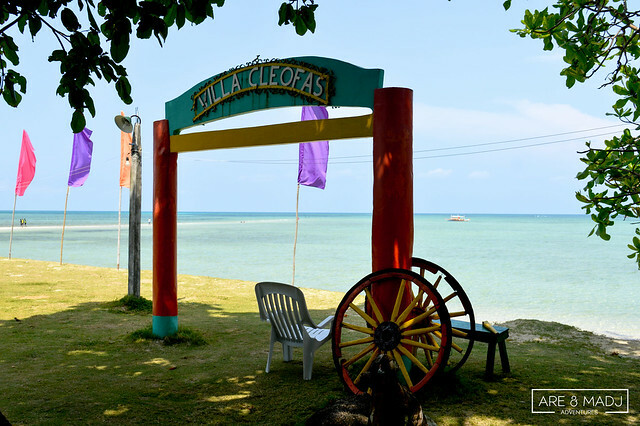 If we had a chance to book earlier, we might have a reservation at Doña Choleng or Pansacola Beach Resort. Always ask for the schedule of each mode of transportation you may use to avoid delay. Contact Raul (0907-173-9016) for the available resorts, and he’ll be happy to assist you. 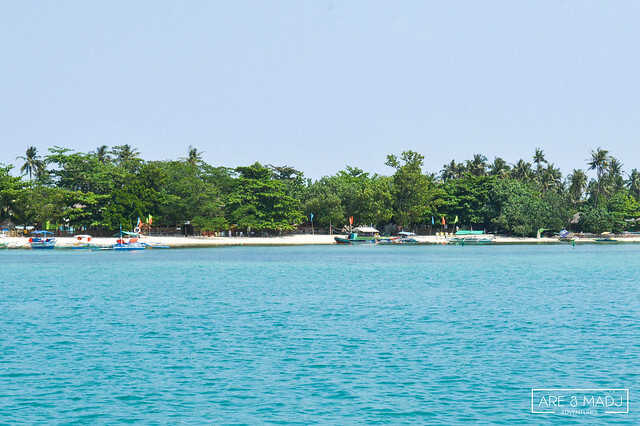 Contact Kuya Adonis (0912-445-6828) if you like to go island hopping. 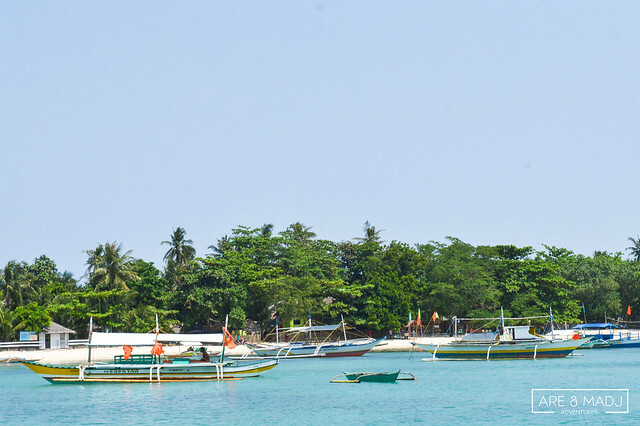 Trust me, island hopping will be the best decision you’d make in Cagbalete Island! Please feel free to comment your thoughts below and we’ll get back to you as soon as possible. And don’t forget to give us some love. Please do like and share! Thank you! Did you like this article? Follow us on Facebook and Instagram for more travel updates! TRAVEL VIDEO: Let’s Jump in Baler!